The images used in this Guide come from sources identified by the photo credit under each image. While the images were provided specifically for use in the Guide, the owners of the images have agreed that students, educators, scientists and others may copy and use these images for lectures, slide shows, powerpoint displays or in-class use, as long as the activity is not-for-profit, and as long as the appropriate photo credit is displayed with the image. For any other use—including but not limited to publications and other printed media, use on the internet, and any for-profit activity—permission must be obtained from the owner of the image. Please direct your inquiry to the source credited under the image, at the address given below. Specify which images you wish to use and what use you would like to put them to. Images that are in the public domain—images whose intellectual property rights have been forfeited or are excluded (such as work produced by the U.S. government) or have expired (e.g. were published long ago)—and are therefore available for public use are so noted in the credit line. Images whose credit line indicates that they are from Wikimedia Commons are available for general use under various licenses; see the Wikimedia Commons entry below and the Wikimedia Commons website for details. Most images are of fresh-caught living material, photographed in the laboratory with a digital camera. In some cases, backgrounds were eliminated or a montage created from multiple original photographs using Photoshop software. 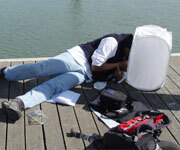 Internet: See additional images of San Francisco Bay invertebrates at the Academy's Bay2K Website. 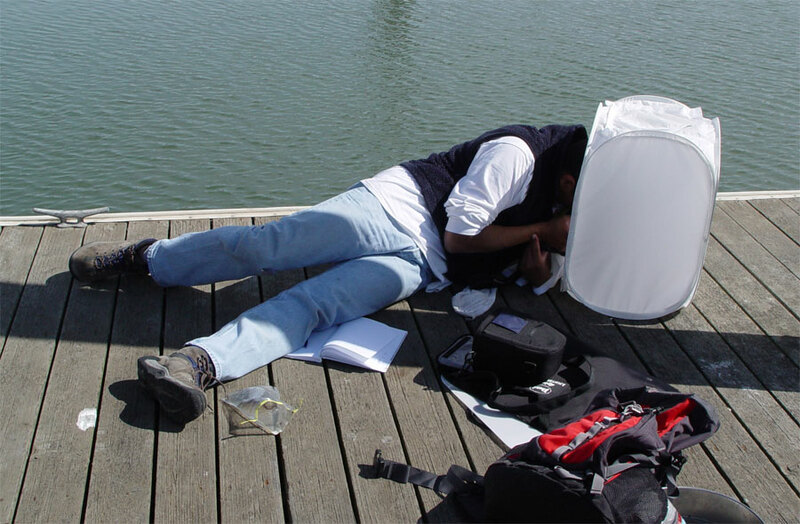 The images are from the Flax Pond Digital Library, which is maintained by the Earth Science Educational Resource Center at Stony Brook University in order to foster education and research focused on salt marshes. Internet: For more salt marsh images, go to the Flax Pond Digital Library. Internet: For additional information on sea squirts, go to Ascidian News. Internet: For additional images and information on polychaetes go to the Polychaete Page of the Natural History Museum of Los Angeles County. Internet: See additional images at the California Biota website. Public domain image from the U.S. Geological Survey's Didemnum vexillum website. Internet: For related images and information go to the U.S. Geological Survey's Didemnum vexillum website. Wikimedia Commons is a repository of public domain and freely-licensed images and other media. Anyone can copy and use the files in the repository as long as he or she follows the terms specified by the author; this often means crediting the source and author and releasing copies or improvements under the same freedom to others. The license conditions for each image file (often a Creative Commons License or GNU Free Documentation License) is given on its description page in Wikimedia Commons. Wikimedia Commons was created and is maintained by volunteers.